Looking for a locksmith to install alarm lock in Atlanta, GA? Look no further. 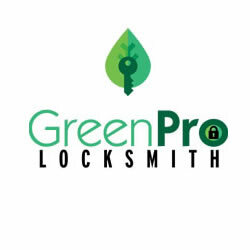 GreenPro Locksmith offers expert alarm lock installation, repair and replacement in Atlanta,GA and all nearby cities. With toggle codes, you can allow your lock to remain in an open or closed state with the use of a special pin, or card. This card or pin will allow your door remain opened or closed for a specific period of time. It also means you don’t have to re-enter your pin if you are moving items for a specific period of time in and out of the room. With toggle codes, you can schedule a time to lock your premise and prevent access at specific period of time. An alarm lock installed by GreenPro Locksmith in Atlanta will usually make use of a prox card or a pin code. In most cases, you can allow the user of the alarm lock to have both prox card and pin codes. The use of pins and cards become necessary when extra security is needed for a home or business premise and verification through either the card or pin codes become necessary just in case the card is stolen. Even if you have the basic alarm lock product, you can still upgrade it to wireless option because the wireless unit can be integrated with the wired alarm lock system, hence they can both be managed through the same database. One of the features of this modern alarm lock is that it comes with the use of one-time codes. This feature is particularly good when you want to give someone temporary access without the need to come back to cancel the access. All you need to do is to give the person a one-time code and the system will remove the code combination once the individual is done. This feature can be used on weekends, or during the holidays when a contractor needs temporary access to carry out a project in your home or office. Information can be easily pulled out after accessing a lock, and most users may not read reports from the lock’s audit trails. As a user, you need to take few minutes to read the audit trails from the alarm lock. You need to pay more attention the access that are denied, and the entries. Reading the audit trails will help you address any security breach before it becomes a bigger issue. Reading the audit trails on your alarm lock can save you possible service calls, and may prevent any possible burglary in your home or office. Call GreenPro Locksmith for the installation of modern, sophisticated alarm lock. Don’t lose sleep at night worrying about the inefficiency of your garage doors because at GreenPro Locksmith, we are committed to providing dependable garage door safety and maintenance services at your convenience. Call us today to get exceptional garage door safety services including garage door installation, old garage door repair, garage door upgrades and safety inspections.